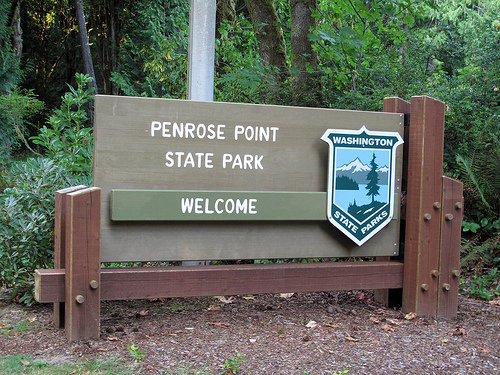 Penrose State Park is one of the prettiest parks around. Situated on Mayo Cove at 321 158th Avenue Kp South, Lakebay, WA. 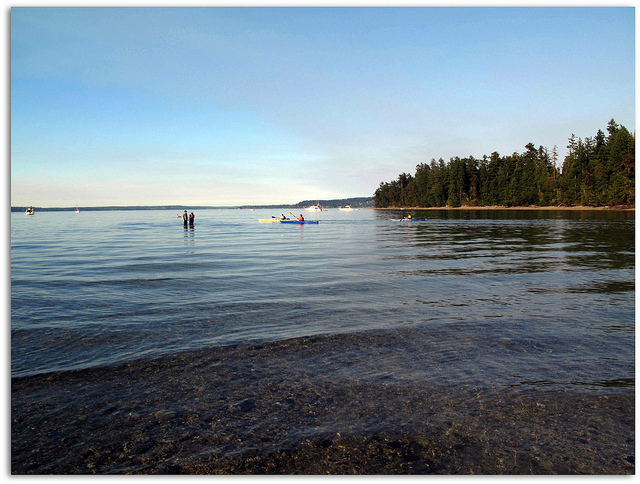 the park offers over two miles of shoreline, picnic tables, shelters, a grassy area and a rocky beach. It is obviously a popular spot for pleasure boats and kayakers. Dear daughter and I walked a fair distance along the beach, discovering that flip flops were a poor shoe choice considering the slippery mud and rocks/shells filled with barnacles. But we went slowly and did OK. 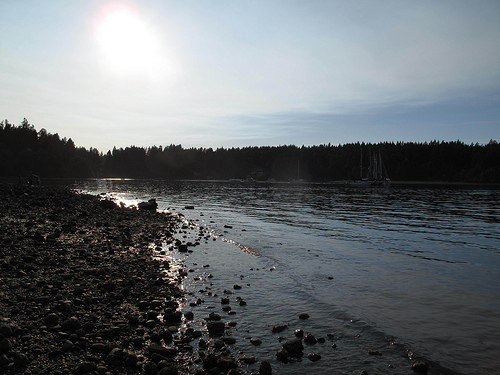 The best part was wading in the water and flipping over rocks to catch little crabs, both regular and hermit. 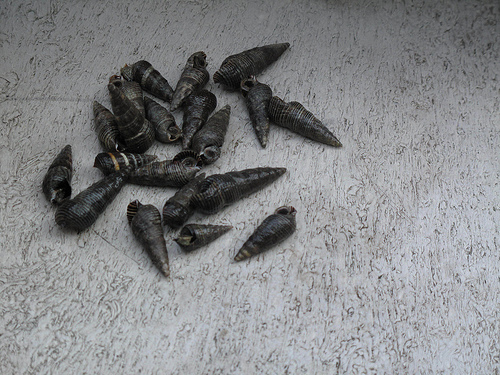 In the picture of shells below some of the shells house hermit crabs and some snails. 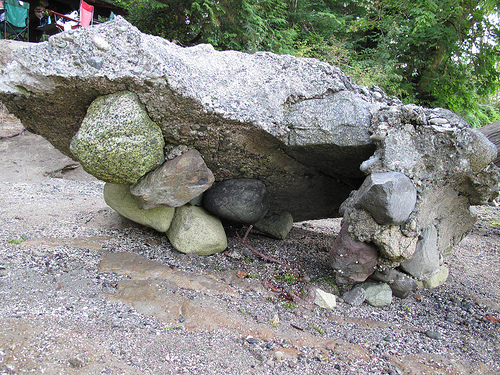 This entry was posted in Key Peninsula, Parks, WA State - Pierce County and tagged Lakebay, Mayo Cove, Penrose, State Park, WA on September 4, 2011 by admin.